Thou Shall NOT Eat Sugar!!!!!!! Don’t worry I’m just kidding. Definitely not one of the commandments of diabetes management, but a stereotype and misconception associated with diabetes for sure. As with everything else in your diet, when you have diabetes, you can still have foods with sugar (carbohydrates) just in moderation. In fact, carbohydrates are a key factor in many diabetes management plans. 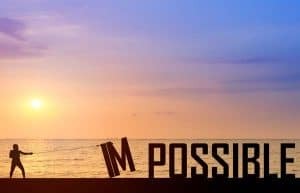 If you’ve been struggling with your management methods, or just looking to learn more about diabetes then, these commandments are definitely for you. Let’s take a look at the Diabetes Commandments for Better Management. I get it, vegetables are boring, and some aren’t really that tasty. However, they are a key component of diabetes management. Why you ask? 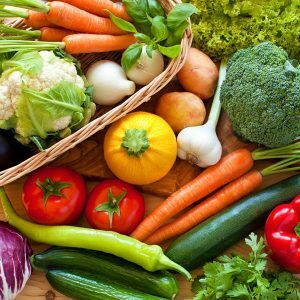 Vegetables contain vital nutrients that your body needs on a daily basis. They are a healthy carbohydrate option, for ensuring your body gets the fuel it needs to function efficiently. Vegetables are one of your main sources for not only vitamins but fiber and minerals, all of which are important in diabetes management. Those low in carbohydrates are a great choice, because it allows you to eat more without worry of overdoing it. 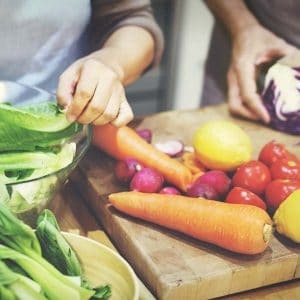 If you’d like to know more about what types of vegetables work great for a diabetes management plan, click here! Diabetes And Cholesterol: What Is The Relationship? Diabetes is a lot of work, that’s for sure. But ensuring the accuracy of your blood sugar levels is important for dosing decisions or when your doctor needs to make adjustments to your medications. Together with your doctor, you will determine how often each day you should test. But for a more detailed look at what your numbers are looking like throughout the day, there are a few times that are definitely a must. Fasting Blood Sugar: This should be tested first thing in the morning before you eat anything. Your fasting level gives your doctor a good idea if your regimen is currently working. If you are on insulin, they can determine if your basal doses need an increase or decrease according to how your blood sugar cooperated throughout the night. Before Meal: Always test your blood sugar before you eat. This is extremely important if you are on insulin. You will want to know what your level is so that you can correctly and accurately dose for the meal you are about to consume. Post Prandial: This is your after-meal blood sugar level. It is most beneficial because it allows your doctor to see how well your current regimen is working. You will want to test 2 hours after eating. This lets you know how well everything works to bring your levels back down post meal. Before Bed: It’s always wise to check your blood sugar before you go to bed for the evening. You don’t want to go off to bed on a lower number, or on the other side of things go to bed at a higher level. This could lead to difficulty during the evening hours and into the morning. 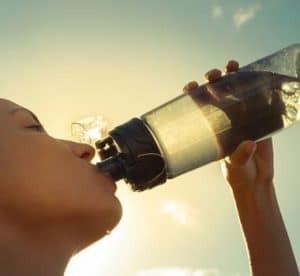 While water is the best choice for a carb free beverage, it’s understandable that you don’t want to drink unflavored water all day long. Unsweetened ice tea is another great option because tea is full of antioxidants which is also beneficial to your health. You can add a little sweetness to the tea by using a no-calorie sweetener such as sucralose and stevia. Other available options such as Mio can add a little bit of flavor and even some vitamins to your water, sugar free sports drinks, and on occasion diet sodas. 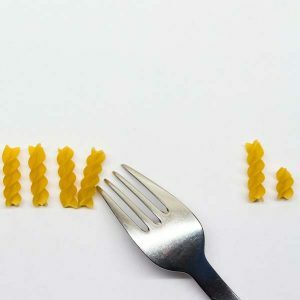 It’s important to first consult with your doctor to determine what number of carbs is best for you per meal. It is important to try and remain consistent. Typically, it’s a good idea to stick to between 30-40 grams each meal. Being consistent allows you to learn more about what foods affect your blood sugar and how well your current treatment regimen is working. Protein is another great source of nutrition and it also can help to regulate your blood sugar levels. 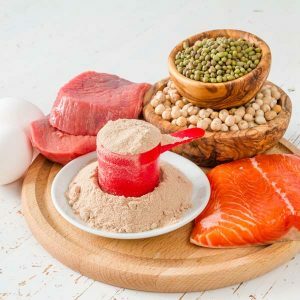 The benefit of protein is that it can help to sustain your hungry as well as help your levels stay balanced over longer periods such as overnight. Including a protein with a snack before bedtime can help to keep your blood sugar levels from dropping too low during your sleep. While protein can still raise your blood sugar levels slightly, it does not have the same effect that carbohydrates do. Eating out once in a while can be a fun way to take a break from daily life, but it can wreak havoc on your blood sugar levels. At home, you have more control over what foods you eat as well as the nutrition that they provide. When you do eat out, be sure you ask the restaurant or take out joint if they offer nutritional facts or labels. Most often you will find that they have pamphlets that can help you to more accurately determine what you are eating. For those on an insulin regimen that follow carbohydrate counting, this can help to make sure you are taking the proper insulin dosage. The old school method of tracking your blood sugar levels is to write them out. To help keep track of them in a more effective and organized manner, take a look at the tools and downloads we offer here. Another option that is available thanks to new modern technology, are the various applications for your mobile devices and smartphones. Apps like mySugr, and Glucose Buddy offer a way to store your data and even analyze it all in one convenient location. Depending on your treatment method, you may also be able to upload your data on your computer or into the cloud. Insulin pumps like the Tandem T-Slim X2 offer data saving solutions that allow you to upload your blood sugar levels and carb totals for each meal to your computer. 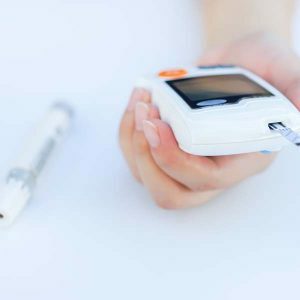 If you are on a continuous glucose monitor (CGM) you already have access to TONS of valuable data from the 24-hour graphs of your blood sugar information. If a CGM is something you are considering or would like more information about, check out the newest FDA approved model, the Dexcom Mobile G5. It offers you the ability to keep an eye on your blood sugar levels on your mobile phone. Additionally, if you take care of someone with diabetes, you also can keep track of their levels on your phone no matter where you are, as long as you have access to WiFi or cellular data. 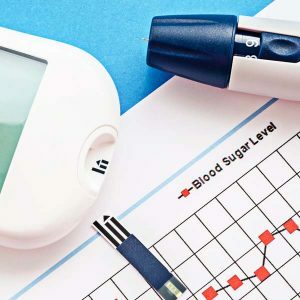 Note: When recording your blood sugar levels, you should also make sure to include special notations such as total number of carbohydrates, increased activity levels and other factors that may affect your blood sugar levels such as stress and illness. Diabetes is difficult enough with the constant monitoring, food intake decisions, medication adjustments and more. Learning to find a comforting way to live in this new ‘life’ can help to ease your worries and frustrations that come along the way. These commandments just help to keep you on track with the most important and vital things you should be doing day in and day out. It may seem overwhelming in the beginning, because it’s all new and not something you are used to. But after time you will become more adjusted to everything and what needs to be done. It will seem like you are in auto pilot for some of these tasks. Two things I can’t ignore. First, peas are not low in carbs. In fact, 1 C. of peas has more carbs than I can eat in an entire day! If you do eat them just eat them very sparingly. This article needed to be at least 8 commandments for Diabetes listed. Exercise it absolutely vital to blood sugar control!! Just 12 minutes walking around my house, lifting my legs up w/ each step so that I can “feel” the burn in the front of my upper thighs, while using a 3 pound weight in each hand, so that I can also do slow and deliberate arm lifts at the same time that I’m slowly but deliberately marching around my house! :o) It sounds kind of ridiculous but just TRY it!! Doing this will drop my blood sugar by 40 to 60 points!! I’m not exaggerating! Sometimes it drops TOO low in fact! This was a miraculous discovery after 2 years of some scary high numbers that would put me in a SUPER sleepy sugar “coma” EVERY time I ate anything…even lettuce! At the time I was being super careful and eating almost NO carbs whatsoever, while also taking 20-22 units of insulin for most meals! It is SUPER scary when even full-on insulin won’t lower blood sugar, but I discovered that exercise does it like MAGIC!!! It does NOT have to be fast exercise but the kind of aerobic movement that your muscles can “feel”. I have occasional knee pain and have to hold onto my kitchen island as I walk around it for extra support and balance, always lifting my legs up slowly and deliberately as I do so for at least 10-12 minutes, after each meal. I just circle the kitchen island 6x in one direction and 6x in the other, reversing directions at the same point every time I go around…holding on to the counter for support with one hand other and using a 3# weight in the opposite hand, for arm lifts. Always trading the 3# weight to the other hand when I reverse directions. This has also helped with my blood sugar numbers tremendously!! They have dropped from the mid 200’s (no matter HOW low my carbs were!!) down to between 90 and 135! My last hemoglobin A1C was a 6!! To me this discovery has been life changing. We are always told to exercise but what KIND of exercise does matter. Walking on the treadmill is “okay”, but what I described here works even BETTER for me as i get older. I am female and am almost 60 years old. My diabetes was triggered by being on Steroids for a lung illness when I was just 42. I always thought it was type 2, but my doctor now says I have type 1. Not sure if it changed but overnight it could no longer be controlled…until I discovered this miracle!